Where do you start your style journey? There’s a huge number of different carpet and flooring options out there. If you’re thinking about changing your floor, then getting started can sometimes be overwhelming. Colours, textures, styles – there’s a lot to think about and so many different types of products to consider and whether they’re suitable for your home. Wouldn’t it be great if there was any easy way to start the process? Our new website product selector tool takes you through five simple questions to help you get started on your flooring style journey. Need something waterproof? Or something tougher to cope a lot of foot traffic? Are you on a strict budget or do you want to indulgence in a quality product? We can help you to get started by asking a few quick questions. All you have to do is answer each by clicking your response that best suits. Five questions and you’ll soon have a starting list of carpet and/or flooring products recommended for you. So don’t wait. 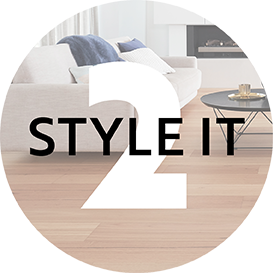 Click on the image above and start your style journey today.